On 14 February 2004 in the Church, the following constitution document was ratified in order for the Friends to become a registered charity. Also available in Serbo-croat, Russian, Spanish and Japanese as printed copies within the church. The above links require Adobe Acrobat (PDF) software in order to be viewed. 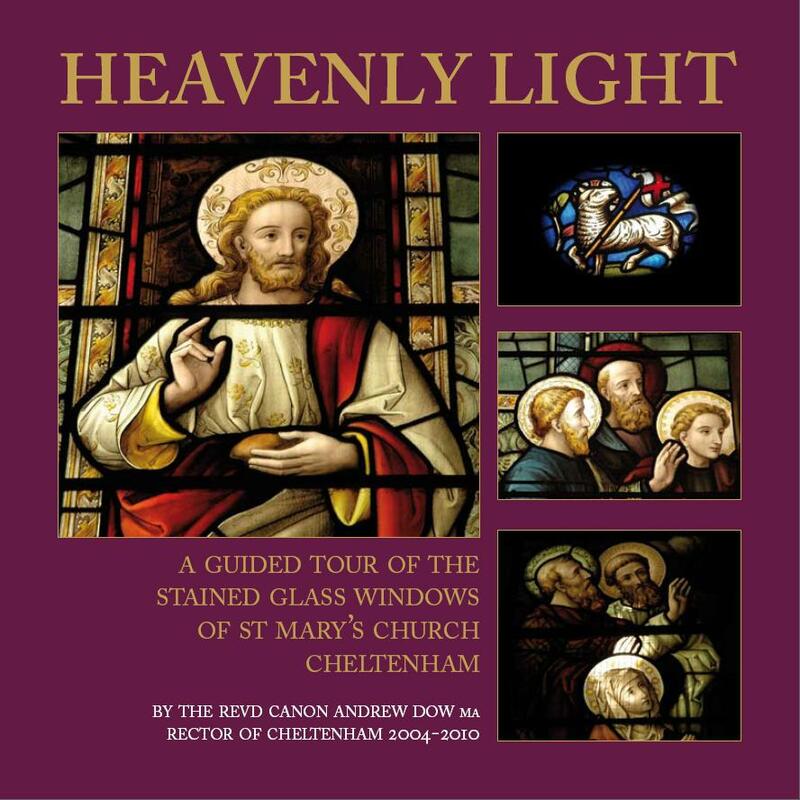 "Heavenly Light" by Canon Andrew Dow is a 28 page guided tour of the stained glass windows of St Mary's, explaining the Bible stories etc. 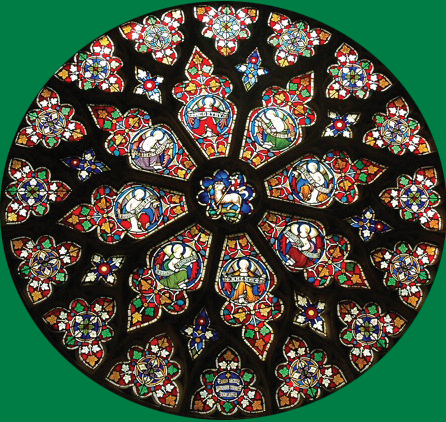 It costs £3.00 (£4.00 in bookshops) and printing costs have been covered by a generous donation from Mavis Fitz and family in memory of the Revd. Lionel Fitz. Profits go to the Friends of St. Mary's for their work in supporting the church. Friends of St. Mary's 2009 Christmas card. Kindly donated by the photographer Roberto Simmons £2.00 per pack of 5. Friends of St. Mary's 2010 Christmas card. 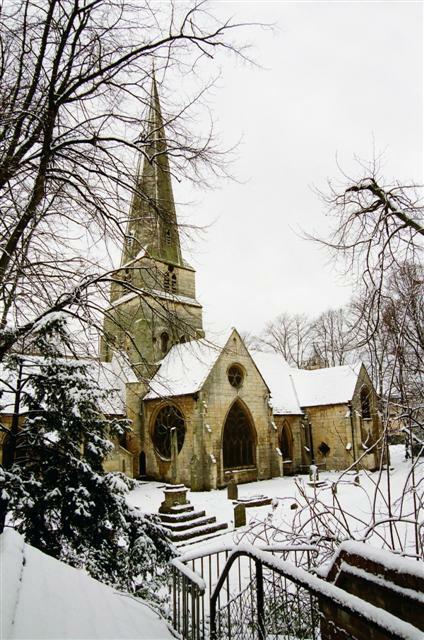 Kindly donated by the photographer Revd. Canon Andrew Dow £2.00 per pack of 5. Friends of St. Mary's 2011 Christmas card. 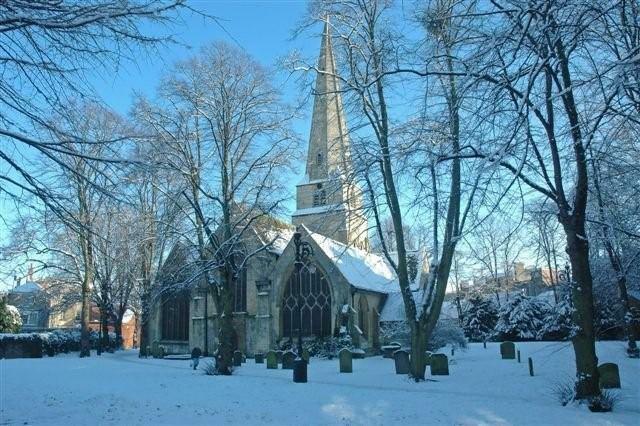 Kindly donated by the photographer Revd. Canon Andrew Dow £2.00 per pack of 5. ISBN 0-9539875-0-7. 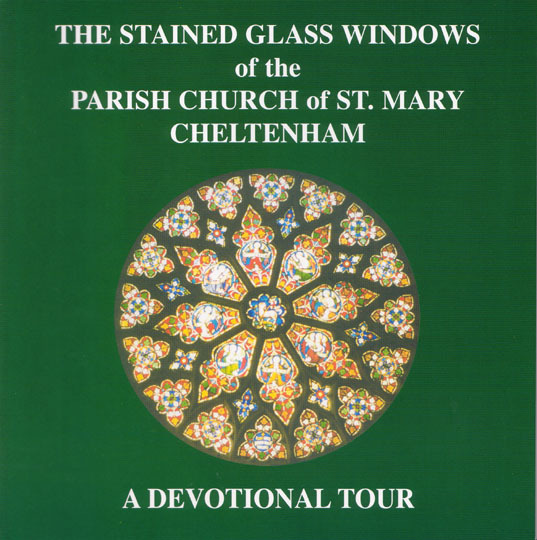 Published by the Friends of St Mary's Church Cheltenham, Price £3.75.OUT OF PRINT. 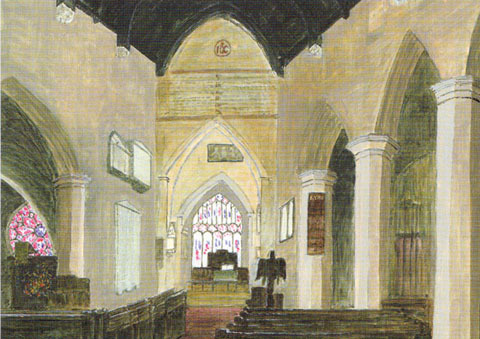 A card of an original painting of the interior of the Parish Church by Peter Ormerod. 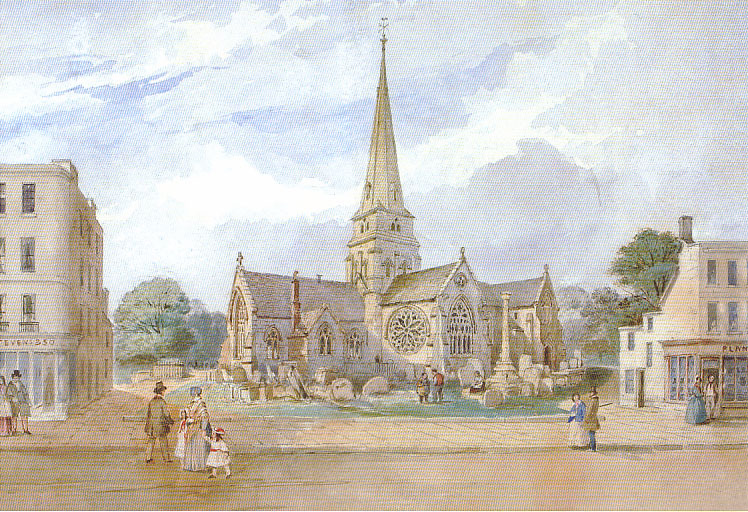 Thought to date back to the 1860s, this picture was kindly lent by Keith Bawden, to allow the creation of this card. Now available from the Church, a pack of 5 costs £2. A list of names on the memorial plaques (32 kB) inside the church has been compiled and made available for people to browse. You might find this helpful when tracing your ancestry for example.